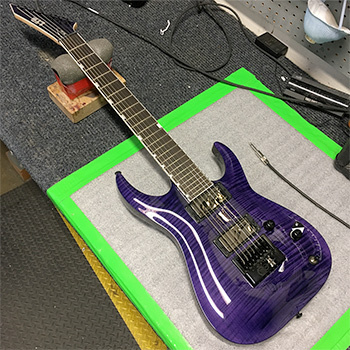 The SH-7 EverTune is the LTD Signature Series model of guitarist Brian "Head" Welch, the seven-string innovator and founding member of nu-metal icons Korn. The design of the SH-7ET was a result of Brian working closely with the ESP product development team, and has a body style with horns that are slightly thinned and streamlined for a sleek, menacing look. 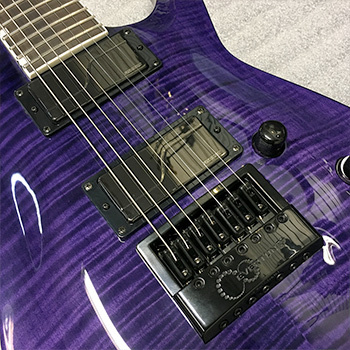 The SH-7ET makes use of innovative Fishman Fluence Modern Humbucker pickups, with the Alnico version in the neck and the Ceramic version in the bridge position. The pickups provide an amazing range of great tones on their own, and the SH-7ET also provides a push-pull tone pot to access two different voicings of the pickups. 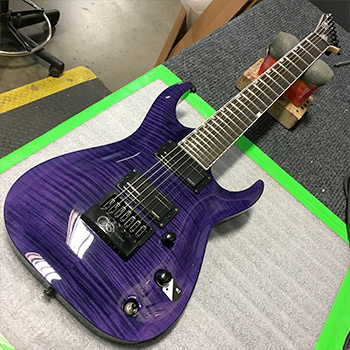 The SH-7ET is a neck-thru-body design with a flamed maple top in See Thru Purple finish over its comfortable, contoured basswood body. 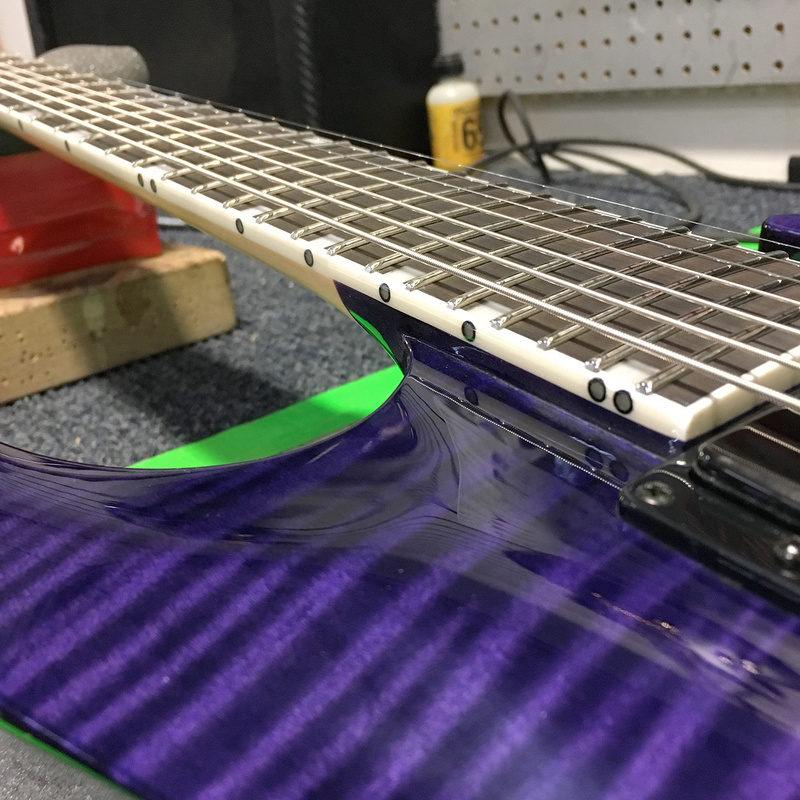 It employs a three-piece maple neck at 25.5" scale with an ebony fingerboard, and offers glow-in-the-dark side markers so that the fret position can easily be seen even on dark stages. 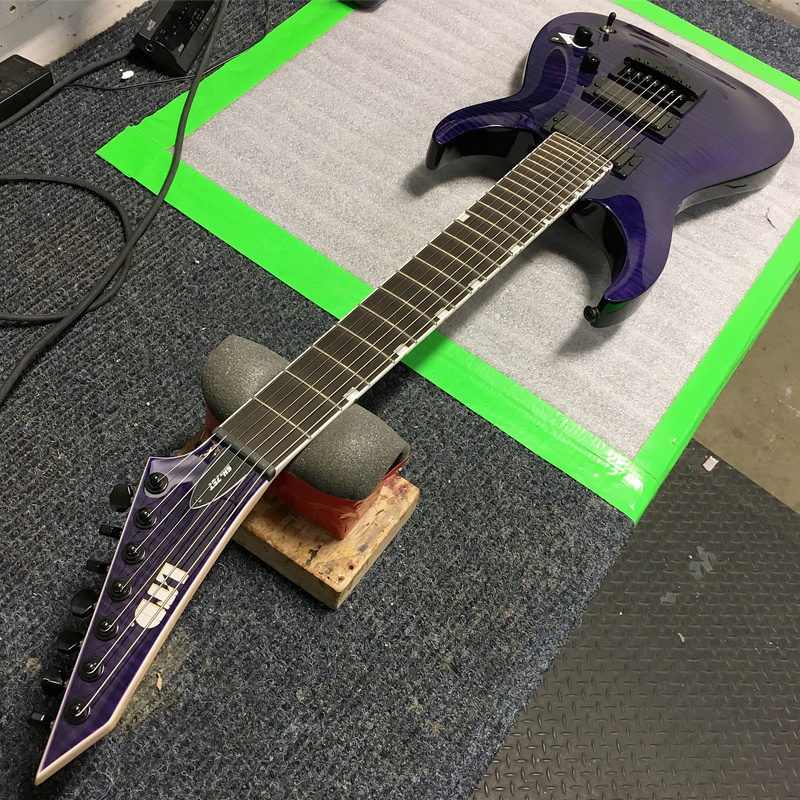 I was working with Nick Raskulinecz on our latest album. Me and Munky and him were doing guitars and talking... and what I was wanting was the EverTune. There's all kinds of different possibilities that I had, but they told me that ESP were the forerunners with the EverTune. So I just called them up and I heard great things, they have a great reputation. I talked about everything and this is what we came up with. Dude, and it just doesn't go out of tune, man. EverTune is amazing. I love it, it's changed my life.